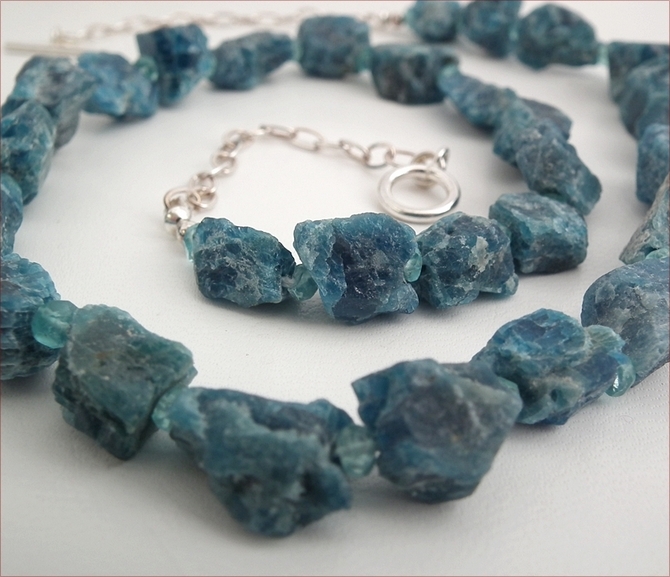 These are lovely raw chunks of natural electric blue apatite stones, interspersed with tiny facetted apatite rondelles (you can only really see them in the close up picture). 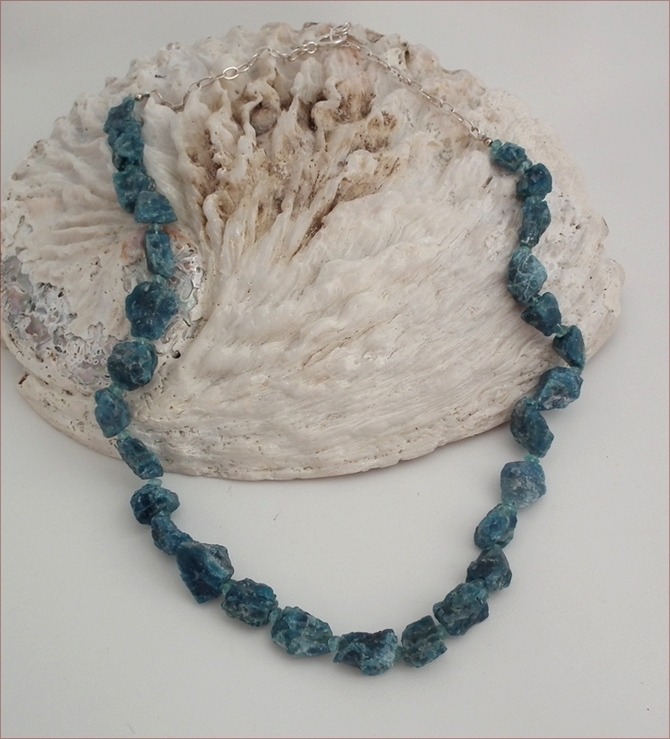 I love the zinging teal blue colour of this and using the translucent apatite rondelles gives the necklace a lightness that simply knotting between the chunkier stones wouldn't. 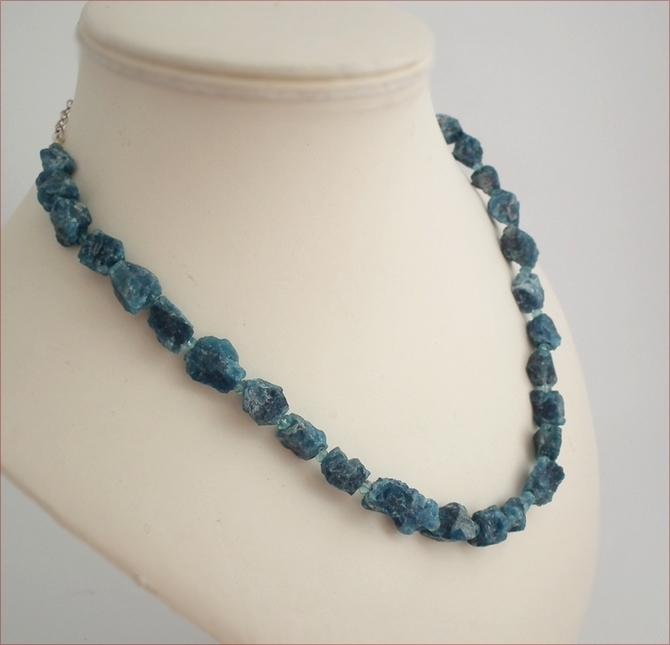 I've added sterling silver chain at the back which makes this a sophisticated necklace, although the stones are so very natural and raw. This means that you can wear this for both evening and daytimes, for formal 'dos', to the office, lunch with the girls - anytime! 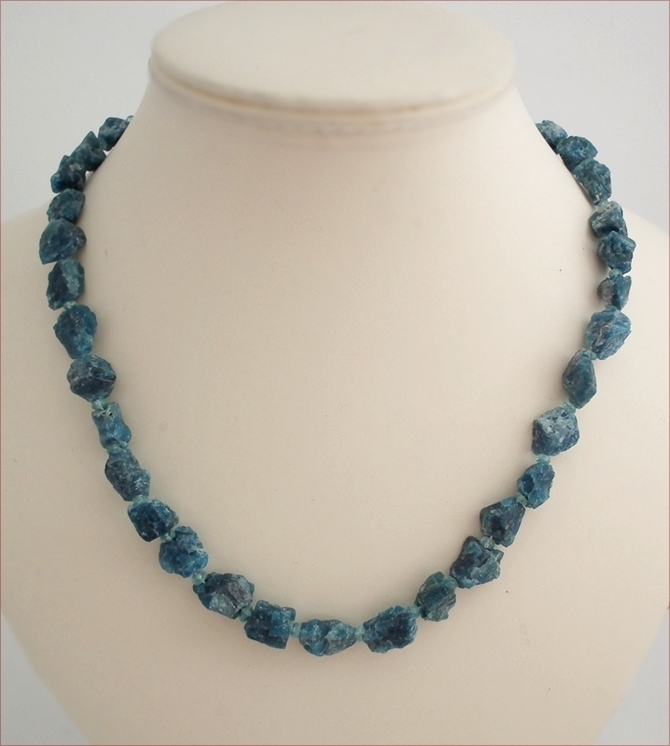 The necklace is 19" (484) long and fastens with a sterling silver toggle clasp.